Meaning: Uncertain: Poponoe (1913) associated the name with hots summer winds (barh) at Barsra, Iraq, which purportedly have some effect on fruit maturity. History: Paul Poponoe introduced Barhi, a soft date, in 1913 from Basra, Iraq. In 1902 at Tempe, Arizona, David Fairchild had introduced some offshoots under the name of Berhi; these later proved to be Braim or Burayam, but the name Berhi was still applied to these palms in the Salt River Valley of Arizona as late as 1950. 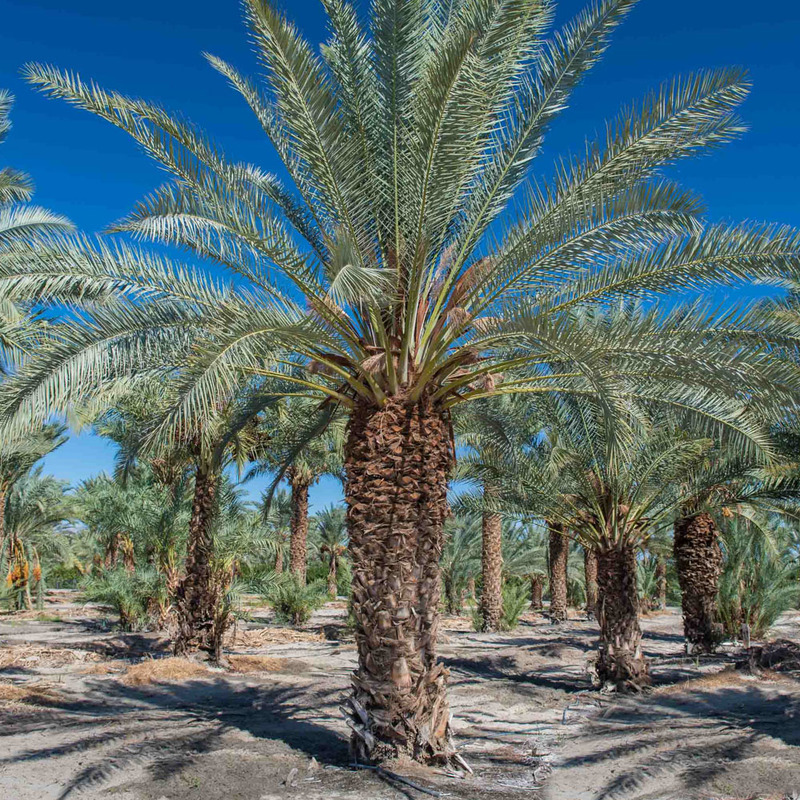 By 1946, there were about 900 Barhee palms, all in California’s Coachella Valley.